In an effort to further aide substandard dog breeders, USDA has hired a long-time puppy mill lobbyist and advocate, Julian Prager, to be its “Canine Advisor.” Mr. Prager’s duties will include assisting in the training of USDA inspectors. 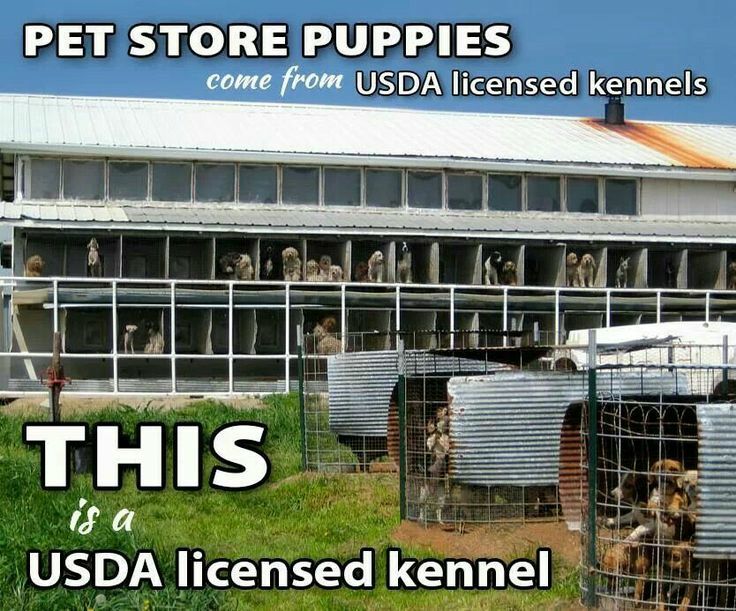 Ironically, Mr. Prager has consistently opposed all laws regulating puppy mills and vigorously opposed Pennsylvania’s new puppy mill law, and most recently, fought against implementation of USDA’s new regulations on puppy mills selling over the Internet. Mr. Prager also opposed a law to prevent puppy mill operators from performing surgeries such as C-sections and debarking on their own dogs. Julian Prager seated with AKC lobbyists. This year the AKC allocated $10,000 to oppose Missouri’s new puppy mill regulations. Yet, this is the individual that USDA has hired to assist in the enforcement of the Animal Welfare Act, the law which regulates the same industry that Mr. Prager has served to promote and protect for several decades. pain, and inspectors issuing indirect violations. plan is clearly not effective. breeding dogs to the fullest extent the Animal Welfare Act allows. 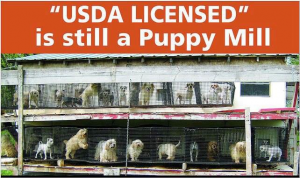 The USDA is in charge of protecting commercial breeding dogs – aka: Puppy Mill breeding dogs. Through yearly inspections of kennels and breeding dogs therein the USDA inspectors issue violations of the Animal Welfare Act to the breeders. 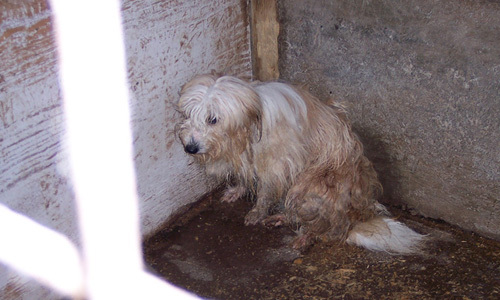 This system has failed to protect breeding dogs from abuse and in humane conditions. Failure of this system has been documented by the Inspector General in scathing internal investigation reports as far back as 1992 and as recent as 2010. Animal advocates are asking for ACCOUNTABILITY NOW! 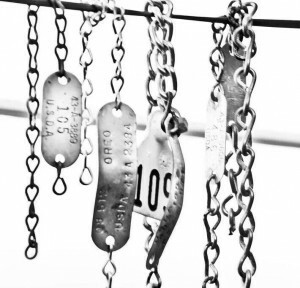 A campaign has begun to sound the alarm and force USDA to retrain inspectors, correctly categorize violations as direct and indirect, issue monetary penalties when warranted, and enforce the Animal Welfare Act to the fullest extent of the law. Please contact your state’s U.S. Senators and Congressional Representative and ask that they help with this very important campaign by sponsoring and supporting legislation holding the USDA accountable to the Animal Welfare Act – that they work across the aisle to see changes made. Send letters by mail, send emails, make phone calls. 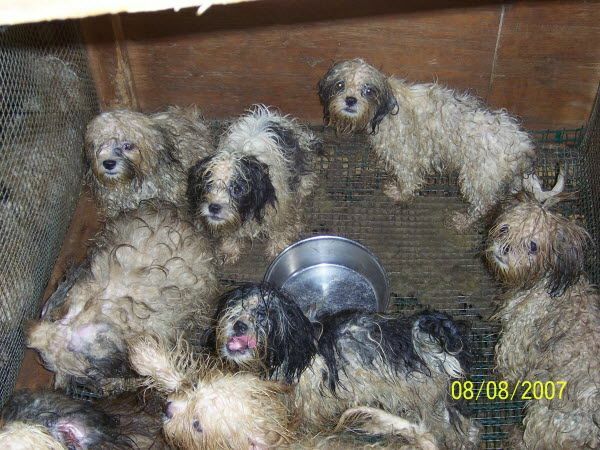 If you are a rescuer of a puppy mill breeding dog, tell your story and send pictures. Click here to find your Senator’s contact information. Click here to find your Congressional Representative’s contact information. Please share this with everyone you know and ask them to be the voice for the helpless hopeless breeding dogs! As Puppy Mills continue to take center stage in animal welfare efforts, new laws are popping up around the country – from Chicago to New York, and now in Minnesota. As of July 1st, 2014 Minnesota will see the first of their puppy mill laws go into effect. 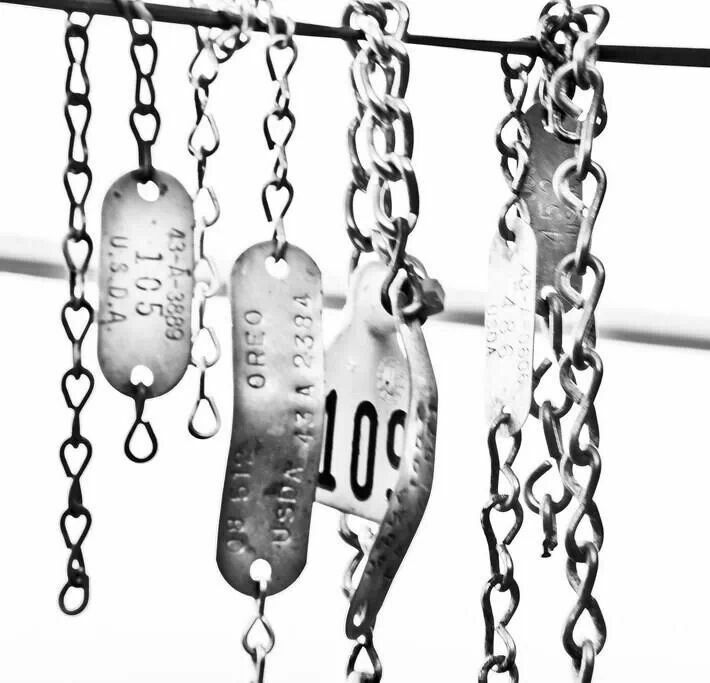 Samantha Bohn, a columnist with the St Cloud Times and parent of a puppy mill survivor, wrote this wonderful piece on what it means for those in the puppy mill industry and what it will mean for the state. A new era is beginning for cats and dogs bred in Minnesota. Beginning July 1, all commercial breeders of cats or dogs in the state must obtain a license to operate. 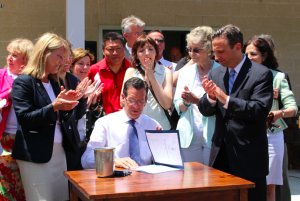 Signed May 20 by Gov. Mark Dayton, the new regulations on commercial breeding operations set a precedent in our state. 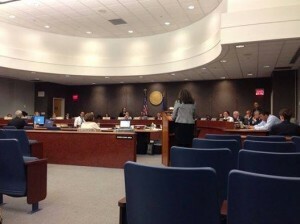 These stipulations, among others, are aimed at preventing unethical operations that breed cats and dogs in literal filth with little to no adequate shelter, food, water or veterinary care. 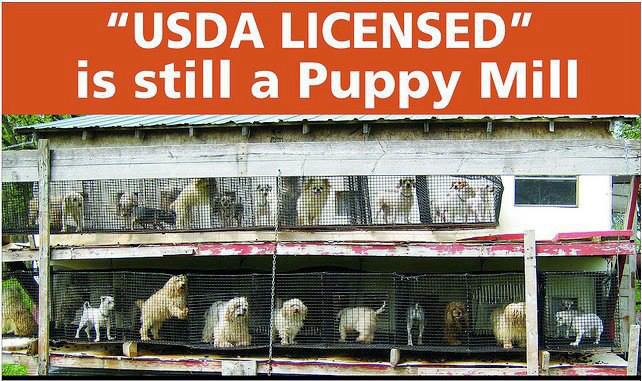 Not to mention, so-called “puppy mills” are notorious for poor breeding itself, resulting in deformed, unhealthy animals. As an owner of a puppy mill dog that was discarded either by the facility or its previous owners, and as witness of the atrocities by puppy mills, I am fervently in favor of increased regulation of breeders. Ethical breeders in the state providing appropriate care and facilities shouldn’t fear the law. This law is meant to prevent unscrupulous breeders who enter into breeding purely for profit and do so at the expense of their animals’ lives and well-being. If you haven’t witnessed puppy mills firsthand, I invite you to perform a Web search of puppy mills. These atrocities occur in Minnesota. In fact, depending on who or which organization you talk to, you might hear Minnesota at the top of the list of the most notorious states for puppy mills. Recently, The Humane Society of the United States released a sampling of “problem puppy mills” in the U.S. The organization listed five breeding facilities in Minnesota, one as close as Eden Valley. Minnesota made history last month, and I hope it will continue to do so in the area of animal rights. These new regulations — along with one enacted this year working to offer a second life to animals used in research facilities — are a small but paramount step in the direction of a more ethical, progressive society that protects its most vulnerable. Thank you to Samantha Bohn for writing this important piece. Click here to visit it on the St Cloud Times website. Samantha welcomes comments and suggestions, and she encourages readers to submit pet questions she can explore at newsroom@stcloudtimes.com.